Whenever a new season hits, my skin loves to freak out. Especially as it starts to get cooler— and drier— outside, I get to deal with the loveliness that is dry and patchy skin (waving sarcasm flag). I stay pretty true to my skincare routine when it comes to my face, but I will admit that I become a little more lax with the rest of my body since it’s bundled and covered up this time of year. However, dryness always leads to itchiness and irritation for me, and I’m forced to do major damage control. Luckily, I’ve honed in on some great ways to calm dry skin and prevent it from cropping up while also saving time in my beauty routine! Keep reading for my best tips on keeping your skin healthy and hydrated during the colder months. Instead of trying to slather on lotion on dry skin, moisturizing while your skin is wet will help lock moisture in for a longer-lasting effect. 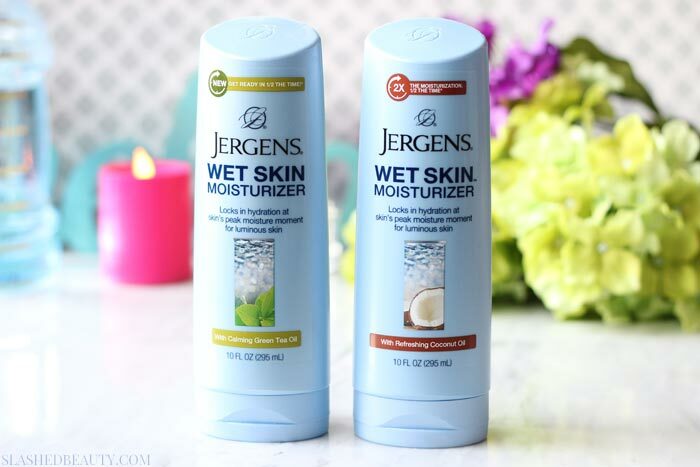 I’ve personally been using the Jergens Wet Skin Moisturizer with Refreshing Coconut Oil for over a year now, and it has really helped transform my skin year round. 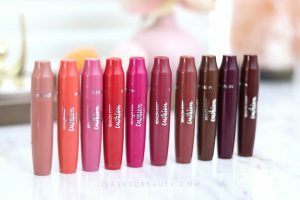 I use a dime-sized amount for each arm, and a quarter-sized amount for each leg while they’re still wet, and the lightweight formula immediately absorbs into my skin. I pat dry to reveal all-day softness. The product really makes moisturizing every day easier, since I don’t have to add anything else after I’m out of the shower, and my skin really does feel moisturized all day. Plus, they smell amazing. I love the Coconut Oil and Green Tea scents, and there’s a new Walmart-exclusive variety called Cherry Almond Essence that I’m dying to try! It’s probably a no-brainer that I would tell you to avoid dry-shaving to save your dry skin, but you should also shave later in your shower routine if possible. Waiting until your hairs are softened by the water helps you get a closer shave without irritating your skin. Be sure to always use a shaving cream or gel, and switch out your razor blades regularly so you can get the job done in one pass instead of going back in over and over again. Nourishing your skin is best done from the inside out, which means even though the sun is hiding and you might be less active, you still need to stay hydrated! Skin cells are made up of water, and drinking the recommended amount helps your skin stay hydrated, clear and plump. 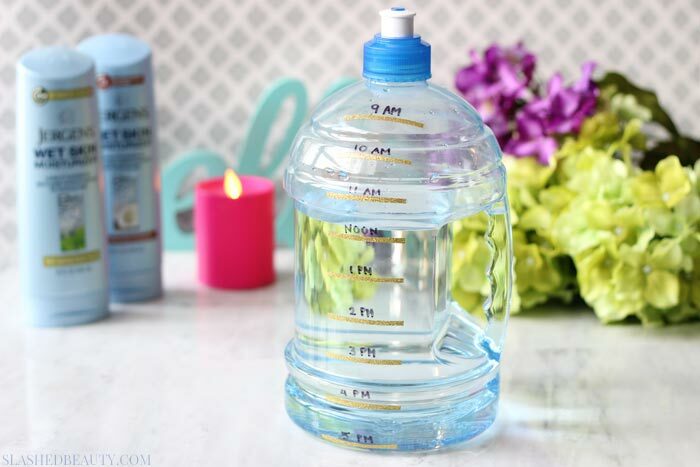 One easy way to make sure I’m drinking enough water is by creating this DIY Water Goal Bottle. It takes less than five minutes and keeps you motivated to drink your day’s worth of water. Use a measuring tape to mark off your goal markers for the day. My water bottle holds 2.2 liters, which is the recommended daily value, so I only need to go down the water bottle once. If your water bottle is smaller, create two columns of goal markers at double the length. I chose to have 8 goal markers, equaling to 8 hours for finishing my water intake. 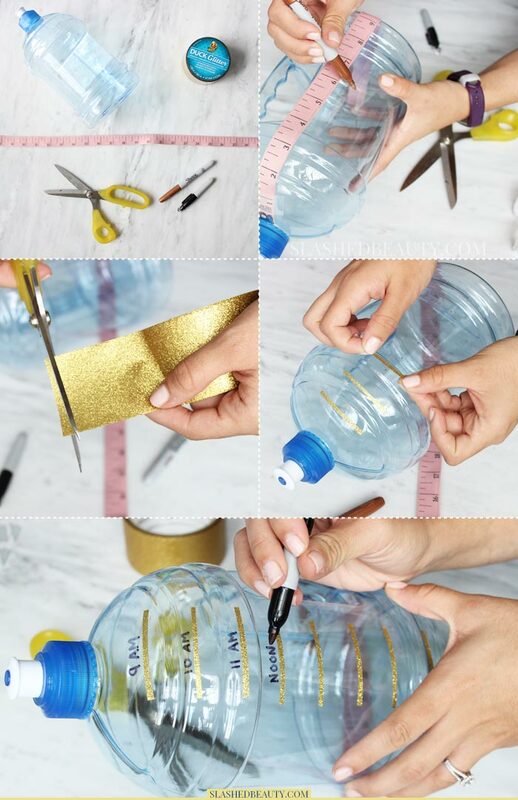 I chose a glittery gold tape to act as my goal marker lines, but you can use stickers or just doodle straight on the water bottle. I cut off a very small strip and placed them in a row where I had previously marked off. I labelled the markers from 9 AM – 5PM as my eight hour window to complete my goal. If you’re making two columns, you can write “REFILL” or “HALF WAY DONE!” at the bottom of your first column. And you’re done! Keeping this on my desk with me during the day reminds me to stay hydrated and I love getting down to the next marker each time I hit a goal! Using a humidifier really helped me avoid dry patches last year, so I’m definitely dusting it off and bringing it back this season. It helps disperse moisture into the air, which keeps my skin from completely drying out. I have less flaky scalp, less chapped lips, and even less eczema! While a steaming hot shower may feel amazing when it’s chilly out, that hot water is melting away all of your natural oils that your skin needs! Stick to warm water that will warm you up without stripping you down, and your skin will thank you for it. 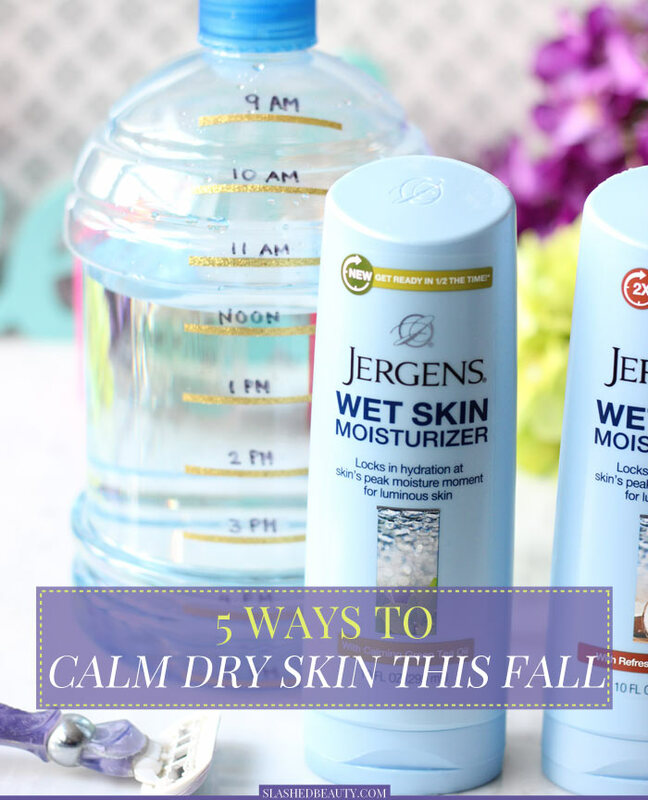 And don’t forget to use the Jergens Wet Skin Moisturizer after your warm-water shower! Pick one up on your next trip to Walmart in the skin care aisle near all of the lotion. Also, check out more fall and winter skin saving tips from other bloggers here. What’s your favorite fall skin ritual? Do you already do any of these tips? 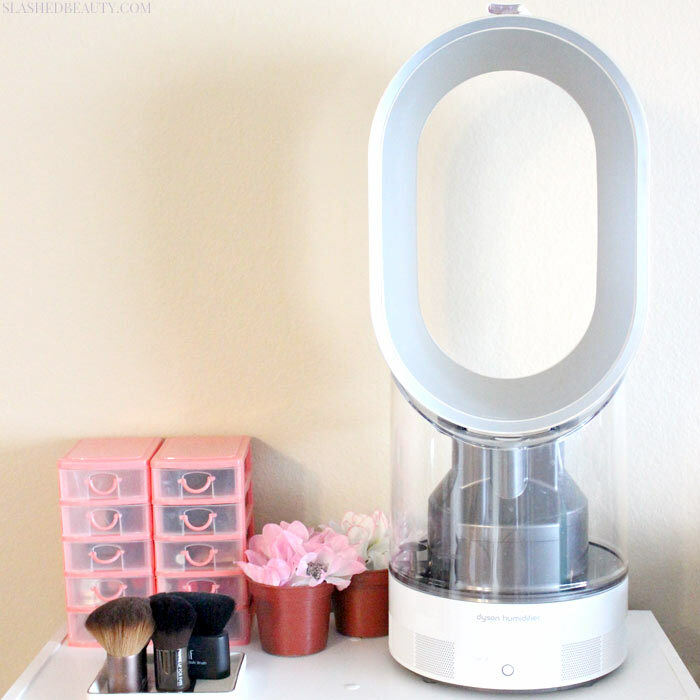 I’m pretty obsessed with my humidifier…it changes everything! A good moisturizer is a must for me, especially during the cold season when the heater is always on. Love the idea with the water bottle! I LOVE how you’ve made that DIY water bottle. I drink 12 glasses over the day and it has finally conquered my acne. Love all your tips! I’ve been drinking at least 2 liters of water a day for my skin for the past month. I think it makes a big difference. I have 2 large 32 oz infuser water bottles that I put sliced lemons into and chill overnight, then drink those during the day. I refill them as necessary. Great tips. I have an in-shower moisturizer, but even after that I still moisturize. I also have a water bottle that digitally keeps track of my intake. It’s pretty cool. I love a good in shower moisturizer. I need to pick up the Argan Oil version and give it a go. I have this lotion but haven’t tried it yet. It’s going to be great when the weather is colder for my skin! I’m obsessed with the Jergens wet skin moisturizer! I looooove that Jergens wet skin moisturizer. I remember those “in-shower” lotions were all the rage maybe 4 or 5 years ago, then they totally disappeared. 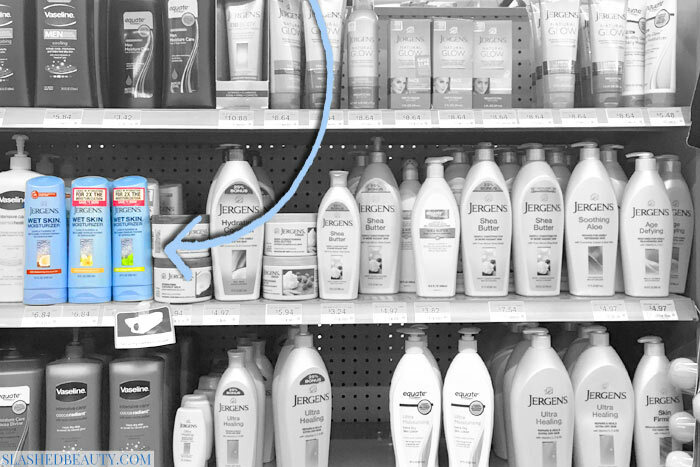 I was psyched when I saw the Jergens one a few months ago and have been using it ever since! Never tried the Jergens wet skin moisturizer. 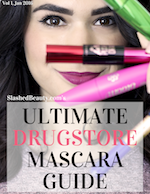 However I have tried a couple other drug store brands with a similar concept but have found nothing that is as good as “Buffy” from Lush. I’ll have to try the Jergens one, because “Buffy” is $24.95 for a 7oz bar, to me that’s pretty pricey. That is one cool looking humidifier! what brand is it? It’s a dyson! I love it. My review is here. Thanks! I thought that’s what it was – their bladeless technology. It looks so cool!